Cavities at 30? Pursue Teeth Cleaning in North Oaks! You’re past the age of needing the mom voice nagging, “did you brush your teeth?” to motivate your oral health regime. Yet diligent teeth cleaning still gives North Oaks residents enough of a challenge that the shocked, “Really, I’ve got cavities at 30?” phrase lives on. Why is that? A quick review of what causes cavities may be helpful. When sugar or starch touches your teeth, it reacts with a sticky plaque that’s always lying in wait. Together they produce an acid that works overtime trying to eat away the protective enamel of your teeth. This acid attack is a force to be reckoned with for about 20 minutes after the sugar or starch arrives. Any pre-existing flaws in your enamel will now be exploited, causing even the slightest cavity to enlarge. So why cavities at 30? Life on the run can wreak havoc with your health, including your dental health. Instead of a nutritious mid-afternoon snack of celery or carrot sticks, you probably grab a candy bar. And water? 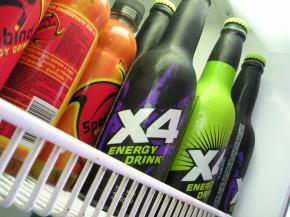 You may opt for an energy drink or soda instead – both loaded with sugars and acid. Are you starting to envision the barrage of damaging acid your enamel faces each day? Obviously, a more nutritionally balanced diet is always the first recommendation. But that aside, be proactive in scheduling regular bi-annual dental check-ups and professional teeth cleaning by our North Oaks team of dental experts. The cost of a cleaning is minimal compared to resolving issues already taken root!